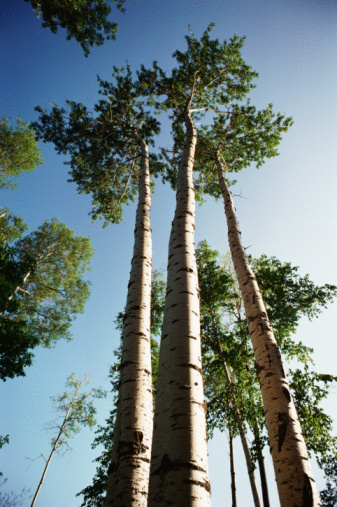 Barriers to limit the spread of a tree's root system are installed for several reasons. In clay soil, root barriers are used to prevent soil shrinkage near building foundations when roots take too much moisture from the soil. Soil shrinkage causes settling and can damage foundations. Root barriers are also used to prevent tree roots from damaging sidewalks, driveways or other so-called hardscapes. Before installing a root barrier in a small space, check with a tree expert to determine whether the tree will still have sufficient access to moisture. Unless the tree can survive a root barrier, the cost-effective solution is to remove the tree. 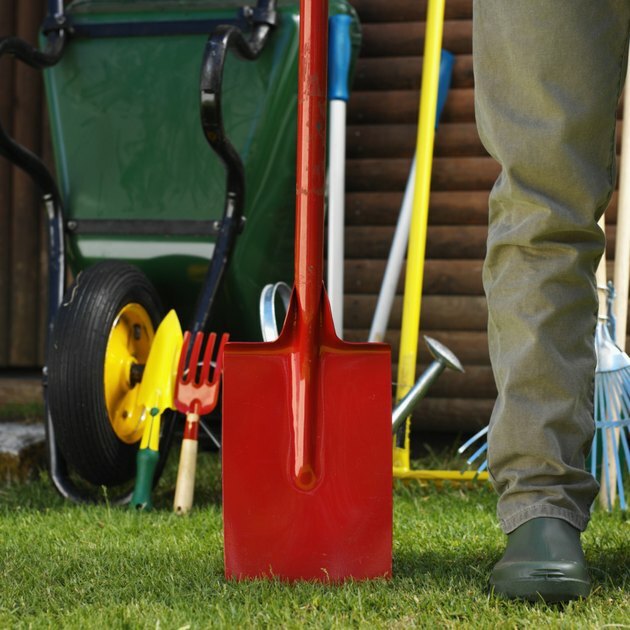 For new plantings, dig a hole at least twice the width of the root ball of the tree you will plant. At the center, the hole need only be deep enough to accept some enriched soil and the root ball in order to keep the tree at the same depth it was planted in the nursery. At the periphery of the hole, make straight-walled cuts to two inches less than the depth of the root barrier you intend to install. Barrier material comes in standard depths of between 12 to 48 inches. Assemble interlocking panels of root barrier large enough to line the circumference of the hole. Plant to let the barrier panels protrude from the surface about 1 to 2 inches once the hole is backfilled. It is best to keep the barrier material as upright as possible. Dig a trench around existing trees to install root barriers. 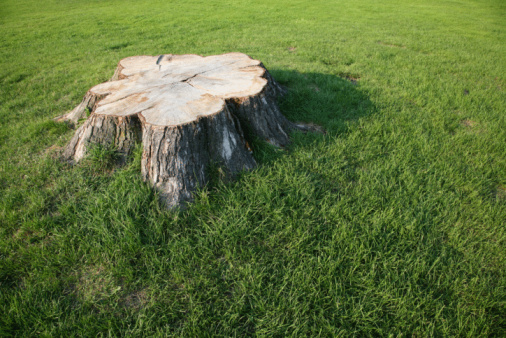 Depending on the size and age of the tree, it might be necessary to cut back existing roots. Arborists have specialized equipment for doing this job easily. Since severe root pruning can damage or kill trees, it is important to check with an expert before cutting, especially if you are planning to install a circular barrier. Install a linear barrier if that is all that is needed to protect the structure about which you are concerned. For example, linear root barriers along the edge of a sidewalk protect the sidewalk but still allow the tree's roots to grow in other directions in order to find moisture and nourishment. Arborists favor linear barriers over circular barriers for that reason. Install linear barriers in the same way as circular barriers.